THE REAL Floor Cleaning SOLUTION! 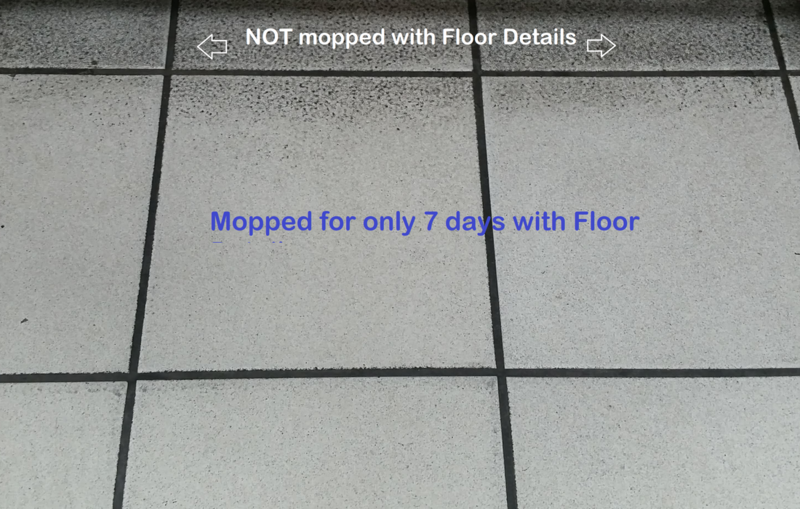 ​This restaurant mopped the top section with Floor Details for only 6 days to compare the results. They were shocked at the results. They had been using the most reputable cleaner available, and the difference was tremendous. After 30 days you will see, feel, and love the difference! Convenience store testing Floor Detail. Results! after only 7 days, and no sticky feel. This assisted living home could not find a solution to their dirty floors, caused by wheelchairs. They noticed right away and stopped mopping right at the door jam to take a picture. 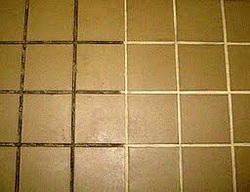 Sticky floors, with grease and dirt trapped in grout and tile lines, will be a thing of the past. Floors with trapped dirt and grease attract fleas and start to smell. They also become extremely slippery, slowing down movement and production. 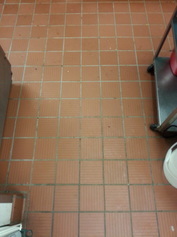 Floor details fixes these issues and does it with a neutral pH degreasing solution. No need to get out the deck scrubs each week in the kitchen. Just switch your kitchen mopping solution to Floor Details. It comes in an easy to dispense container. Just pour a scoop in the mop bucket for kitchen tile and leave it on the floor. Is has zero VOC's (Volatile Organic Compounds) , and is completely odorless, natural, and safe so it won't bother employees or patrons, or ruin restaurant food aromas. It does not foam up, which means it has no soap or detergents that just attract dirt and grease and flies. Floor Details will restore your floor, and leave it sticky-free, grease-free, and safer to walk on. As a daily cleaner and degreaser it will remove the old soapy chemical that has been built up on the floor, along with the grease and dirt hiding deep in grout and grooves. No other product can show results like these with a neutral pH, safe, daily use zero-foam product. 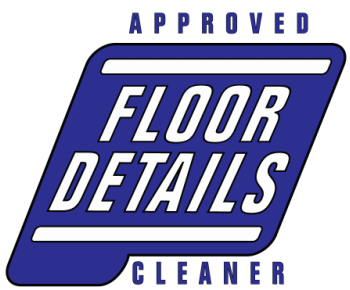 Order today and give it 30 days to get rid of the old chemicals and grease on the floor, and get a clean, restored floor back. Try it for 30 days and we guarantee you will love it or your money back.